The following is the 7th in a series of draft profiles for the Dallas Cowboys' selected players from April's draft. These profiles are put together after watching significant amounts of game tape from each player, and is an attempt to examine their resumes and play to get an idea of how they might fit in best with Dallas come training camp in Oxnard this summer. If you read my offerings on a semi-regular basis, you know the nuts and bolts of NFL game theory is of great interest to me. You have heard me go on and on about how the "Game-day 45" (46) is vitally important to wins and losses and how difficult it is - relative to any other level of football - to make sure that any man who has a uniform on is able to contribute on a very high level for whatever his role may be. That is because once you get through the heavily used 16-17 offensive players, the 17-18 heavily used defensive players, the dedicated kickers, punters, deep snappers, and Quarterbacks, you are left with roughly 5 guys who make up your special teams core. These players are almost always either running backs, tight ends, wide receivers, linebackers, or defensive backs. They will play on all 4 special teams (punt cover, punt return, kick cover, and kick return) which amounts to about 20 plays per game. You often never know their names unless something goes really wrong or really right, and they often make the league minimum and have 3 years or fewer in service time. And that is what makes a special teams coach's job very difficult. He usually has to find these 5-6 guys every season from the leftovers when the offensive coordinator or defensive coordinator are done filling out the depth charts and they generally aren't the same guys he had the season before. In 2012, on opening night in New York, the 5 players who performed on all 4 special teams for Joe DeCamillis were: Phillip Tanner, Mana Silva, Andre Holmes, Dan Conner, and Alex Albright. Lawrence Vickers and James Hanna were on 3 of the 4 teams, and that was pretty much the entire crew. Silva, Holmes, and Conner are gone. Vickers and Tanner will have to make the team again, and Albright and Hanna have a chance to graduate up the depth chart. This means that new special teams coach Rich Bisaccia will start carving out his squad with a completely fresh slate. And that likely had everything to do with what the Cowboys did at pick #185, when they targeted DeVonte Holloman from South Carolina. Holloman is just the type of guy who goes off the board at this point in the draft because he just might satisfy your needs for now and hopes for down the road. Now, he should be able to step right in and fill a jersey on game day, without playing defensive snaps (health pending, of course) and contribute on 20 special teams plays. For the future, he might be able to develop into the type of guy you could see starting at "SAM" linebacker if a vacancy presents itself. In watching him on the coach's film in the last few weeks, I will tell you that he certainly fits the mold of a converted defensive back who has grown into a bigger build but kept the athleticism that is key at this level to defend against quick slot guys or running backs in the flat. He has thick and long arms and a wing span that is quite remarkable for his height (79.1 inches) which doesn't help his bench press numbers, but certainly does help him work his way through traffic and find the ball carrier. He runs quite well and gets his drops in coverage (something that is huge in this new scheme) with ease and confidence. Then his breaks on the ball will pass most tests as well. I will say that he did have an issue that jumped out at me on tape that I assume didn't help his draft position, and that would be the dreaded question of motor. On plays at him, he is fine and engaged. But, on plays away from him, where football people will watch to see who keeps running to the ball and stays involved in a play until the whistle "just in case", Holloman did not grade well. He watches and stands and occasionally looks like a guy who was preserving his health for the NFL draft in the spring. That might not be that uncommon actually, to see a guy play carefully in that final college season. 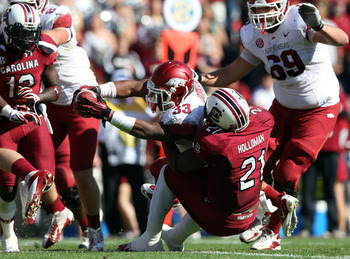 In fact, I imagine it is more profound at South Carolina where the players with Sunday dreams had the Marcus Lattimore dose of reality right in their locker-room, but, still, it should be noted. It was evident on more than one occasion that he doesn't exactly fly to the ball. Otherwise, he exhibits the ability to rush the passer, he tries to find the ball and strip it loose (as he did in their bowl game against Michigan on Denard Robinson) and he has the ability to line up against a slot receiver as he did a number of times in their game against Florida. When you are picking nearly 200 players deep in a draft, it makes plenty of sense to find a guy who exhibits plenty of talent and upside and see if you can develop him in the 4 years that you get with a very reasonable rate of $2.2m for the total rookie contract (just 100k guaranteed). Summary: This type of pick is a no-brainer on a number of levels. You find a guy who you are confident can already be one of your special teams spine and it is great to see him already embrace that premise and prepare himself to go out there and be a key part of that crew. Down the road, there will be chances for him to grow into a spot where you can consider starting him if Bruce Carter cannot maintain his health or perhaps you try to envision a spot where one of the two can flip to the weak side eventually. But, for now, this is about finding guys who are young and talented and putting them on your roster and seeing what happens. If you are not filled with guys like this, then you find yourself in November signing guys like Ernie Sims and Brady Poppinga off the street to come in and play for you. Those players might help you in your base defense, but at that stage of their career, they are not really strong candidates for special teams as they have not played on them, nor embraced the idea in years. And if guys do not buy in on special teams, then they do not sell out. And if they do not sell out on their assignment, you give up a return for a TD and likely lose the game. That is why there is nothing wrong at all with a pick like this - nor the signing of undrafted free agent Brandon MaGee from Arizona State - to step in and fill the spots that are available for guys looking to stick in the NFL by stepping through the open door that special teams provide. Satisfy all of your duties there and the coaching staff is more inclined to throw more vital spots at you in the future. The following is the 6th in a series of draft profiles for the Dallas Cowboys' selected players from April's draft. These profiles are put together after watching significant amounts of game tape from each player, and is an attempt to examine their resumes and play to get an idea of how they might fit in best with Dallas come training camp in Oxnard this summer. There was a time when the NFL was a league where each team had a starting RB and everyone else watched. But, professional evolution has changed that considerably, and now every team plans on needing 2 guys that they feel good about at this position that requires durability and performance on a rather high level to be successful. The Cowboys have been able to fill this spot some years, but there have been others where they just didn't have the spot filled properly. Such was the case in 2012, where their #1 RB, DeMarco Murray was lost from Week 5 in Baltimore (October 14) to Week 12 versus Philadelphia (December 2), and they were left without their "workhorse". In his rookie season in 2011, he missed most of the first month as they were getting him ready to play and most all of the last month as he broke his ankle in the 13th game. So, basically, they love Murray and his upside, but so far, the downside means he will miss about 6 of the 16 games each season until he can prove the durability that many questioned when he slid in the 2011 draft in the first place. Next man up was Felix Jones - a guy drafted with the quotes from the Jones family about how "they already had a starter" with Marion Barber. Basically, in the 2008 draft which is noted for being loaded with Running Backs, the Cowboys passed on Chris Johnson, Rashard Mendenhall, Ray Rice, Matt Forte, and Jamaal Charles for a guy who had never been a starting running back in college (his career high for carries at Arkansas was 154 in 14 games in 2006 - 11 carries a game). It seemed crazy then and now that Felix proved in 2012 that he is not capable of replacing Murray for a month due to injury and therefore will attempt to make Philadelphia's roster, it seems crazier now. Phillip Tanner had the next opportunity, with Murray out and Felix being Felix. Tanner played quite a bit against Carolina and then less against the Giants at Cowboys Stadium. By his 3rd game, he had been passed by Lance Dunbar and never played again after Week 10 - being placed on injured reserve in early December. Tanner had issues in pass protection and special teams that eventually had him fall out of favor. This led them to Dunbar, the 4th string option and a guy on the practice squad out of camp to give it all he had in November. But, as you may recall, the comical running game of last season had pretty much all but conceded by then, and the chicken and egg quandary of what is troubling the Cowboys the most (the running back or the running plays) raged on. Which led us to one of the priorities of the Cowboys draft in 2013. They needed to walk away with a guy who could be the #2 behind Murray, which is a very important job - especially until Murray demonstrates the durability so he does not miss 1-2 months when you need him most. 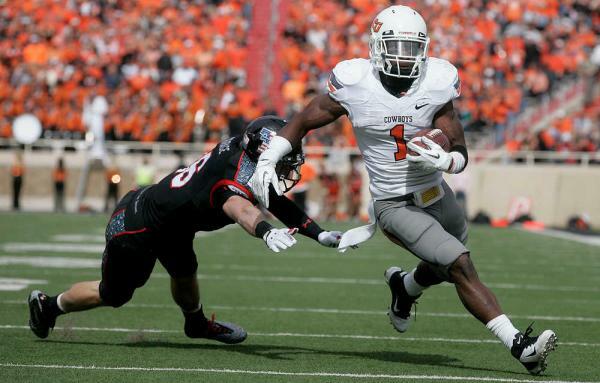 So, they waited until Round 5 to find this player, and selected at pick #151, Joseph Randle from Oklahoma State. Randle was the 11th RB selected in this draft and appears to offer some potential that could upgrade this spot from the debacle of 2012. After breaking down quite a bit of his coaches' film over the last few weeks, I feel that I am able to properly categorize his strengths and weaknesses. First, his 4.6 plus 40-time is a major red flag, but his film says that he is able to play significantly faster than he is timed (ask anyone who watched his Texas performance). He also has a reasonable wiggle in his ability to make a defensive back miss in the open field. He is what they call a "straight-line runner" who gets what is blocked generally. He seems to understand the zone blocking concept of finding your cutback lane, sticking your foot in the ground with conviction and heading north. That will serve him well with the Cowboys as I expect that will be his number one attribute, and surely something that frustrated them to no end with Felix Jones, a guy who never seemed to get the idea of running between the tackles. Randle has a fine amount of toughness and battle to his game. He stays up after contact and appears to be able to get a tough yard down near the goal-line although you would never call him a power runner. He seems sturdy and ready to initiate contact which is a nice change-up from what the team has had behind Murray the last 2 years. Over 3 years in Stillwater, he played 39 games without missing and carried the ball 564 times to average 14.5 carries a game for his career. He also caught over 100 balls showing that he has hands and the ability to give Romo a safety valve option after pass protection is completed. In 2012, he stepped up his productivity to 21 carries and almost 24 touches a game in that wide open OSU attack. Playing primarily in shotgun, he got plenty of work in pass protection which will not get any easier at this level. And that is where his real work will be required. He is willing to give it all he has in blitz pickup, but as we are finding out more each year, this is the true test of the NFL running back. He must be able to handle his job in picking up blitzes and working with the offensive line to get the proper guy - often by himself. Projecting the mental capacity and trust that a player will be able to gain by the time September gets here from both his Quarterback and his Offensive Coordinator is pure guesswork, but this is also the only true indicator of opportunity for most young runners. His extensive play in a spread offense seems to fit the description of what Jason Garrett and Tony Romo want, and he also seems to be versatile enough to give them quite a few options - especially if he has to be the #1 for a month in 2013. Summary: Personally, I saw the availability of Johnathan Franklin and Stepfan Taylor in Round 4 as a reason to pounce there at what most people felt were superior running backs than Randle. But, the Cowboys were not willing to concede that difference in rating and they, instead, took B.W. Webb in Round 4 and were happy to accept whoever was left when they selected again in Round 5. Randle looks the part and should supply the Cowboys with an upgrade from Felix, Tanner, and Dunbar. If there is one thing that I like about his game, it would be that he seems to fill that "jack of all trades" description pretty well. People want to compare him to DeMarco Murray a bit, and I can see the similarities (Murray had 170 college receptions), but they must be forgetting that Murray ran 4.41 while weighing 10 pounds more than Randle, so let's not get carried away here. The bottom line should be that they have a reasonable idea now about who is going to be their Murray insurance policy, leaving the undrafted free agents like Dunbar and Tanner to prove their ability as the #3 and earn their paycheck by being present and accounted for on special teams. Randle may have some special teams duty, but I imagine his #1 priority is going to be to give them a proper solution to limit the Murray workload and perhaps even a 3rd Down back option that he can make his own. The only thing that will govern his workload will be his ability to master the jobs in pass protection with great precision and execution. If he can handle that in Oxnard, we will see quite a bit of this 5th Round pick. The following is the 5th in a series of draft profiles for the Dallas Cowboys' selected players from April's draft. These profiles are put together after watching significant amounts of game tape from each player, and is an attempt to examine their resumes and play to get an idea of how they might fit in best with Dallas come training camp in Oxnard this summer. One prevailing Dallas theme as you look at this draft appears to be the idea that the Cowboys were looking to make preparations for a time when they would have to release long-time veteran contributors because of salary cap implications and more significantly, the eroding skills of players on the backside of their careers. Any NFL team that is successful begins to make replacement plans before they have to. Dallas, a team that has more holes than it has plugs is trying to do this on the fly, and appears to have done a decent job of such an activity last month. One such selection, B.W. Webb - the slot corner from William And Mary, seems to cover them for the exit of Orlando Scandrick as early as next winter, but almost certainly at the end of 2014 at the latest. In the meantime, Webb provides them with depth at a very important position in a league that attacks corners with great routine. Cornerback is one of those positions where most general managers would agree that "you can never have too many" and now that the Cowboys can run out Brandon Carr and Mo Claiborne as their top pair, with Orlando Scandrick in the slot, and now Webb as the 4th for a year is a wonderful addition. The need for a street free agent to roll right in and contribute seems minimal with strong depth on the defensive secondary this year, despite some issues at the top of the safety position. In watching several of Webb's performances on film from 2012, there are some characteristics that stick out immediately. First, you are drawn to his size as he appears to be very small. If he is 5'10, it is deceiving, because you initially think he is even smaller. But, he battles his tail off and seems to be ready to fight for the ball in all circumstances in coverage. And that competitive edge he played with in college will serve him well as he makes the jump to the next level. He is certainly the type to express his feelings with the occasional primal scream and jawing that many in the position have made routine on Sundays. His best player attribute is his desire and ability to win battles in the air. And this is an obvious necessity if quarterbacks want to attack the short corner, he better be able to leap and contest balls thrown over his head and "jump ball" scenarios. He did very well with this at his college and at the Senior Bowl, and for that we must give him credit and the benefit of the doubt. But, I suppose we should wait to see if he can elevate to the necessary heights that Brandon Marshall, Hakeem Nicks, or Calvin Johnson will require this season if the situation dictates. He seems to have quality instincts for the ball as you can best see in the 2nd video below at the 1:00 mark as he jumped a pitch in the New Hampshire game to cause a turnover. He also jumps pass routes which will have to be monitored as he turns pro, but you would rather ask a guy to be more controlled than to be more aggressive. You can rein a player in, but if his default setting is to be careful, then I don't think you have a pro prospect to be excited about. If the name of the game on defense is to look for big plays, then you are going to have to occasionally have the internal confidence to make them. Tackling is something that he does willingly. Again, he is quite small, so he is constantly challenged on the smoke screens where he has to fight through a WR block and get to the ball, because if he doesn't, it could go a long way. He does well in those situations. He also competes on stretch run plays, but even at a smaller school, offensive linemen are just going to bulldoze him. Let's be clear: He is not going to be known as a fantastic run support tackler. He is willing, but that isn't his specialty. But, to play slot, you better be able to snuff out some runs. So, can he use his quickness to preserve his health and make the play on Sundays? Many people have issues with Orlando Scandrick, but one issue you should not have is his toughness. And for Webb to be able to ultimately replace him, he will have to demonstrate not only the courage, but the durability that slot in the NFL requires. In coverage, he stays with the route well, often from a fundamentally sound position and can find the ball. He is just so athletic and fluid and then drives on the ball with exceptional quickness. He also has reasonable return skills that perhaps have been overstated (by virtue of breaking a 91-yard return against Delaware), but still with his tools, you can bet he gives them another sound option that they will likely use if Dwayne Harris is unavailable. This is a useful pick, especially if he can prove that size is not everything. Summary: Again, this cannot be over-stated. This team has not enjoyed corner depth over the years where they have even opened the season recently with just 3 corners on the roster (2011). But, now, after losing Mike Jenkins, they appear to have an option in Webb that can help them cover themselves. He is not strictly a slot corner, but that is his natural NFL spot, it appears, provided he can handle runs to his side. I think the attributes that will serve him well are clearly his battle and desire to mix things up. He is a very aggressive, emotional, and competitive player - all things that you look for in a corner who is going to be attacked on a regular basis until he proves he belongs on Sundays. You would hope he can bulk up a bit, because science indicates that it is tough to play physical and survive at that size for long, but if he can knock that off his list of doubts, the Cowboys may have quite a find here at pick #114. Many thought this would be the pick where they would address running back, and the Cowboys saw UCLA's Johnathan Franklin (Green Bay), South Carolina's Marcus Lattimore (San Francisco), and Stanford's Stepfan Taylor (Arizona) all go off the board between this pick and the pick at #151 which resulted in Joseph Randle, who we will examine next. But, they saw an aggressive and courageous corner and hopped on the opportunity. And now they actually have a plan at corner in case an injury hits the group in 2013. This seems like pretty solid logic if they have properly projected his step up to the NFL. From there, if he proves able, he might be in the mix to help give them a cheaper alternative at a high-leverage position in 2014. The following is the 4th in a series of draft profiles for the Dallas Cowboys' selected players from April's draft. These profiles are put together after watching significant amounts of game tape from each player, and is an attempt to examine their resumes and play to get an idea of how they might fit in best with Dallas come training camp in Oxnard this summer. I think we have all heard multiple times over the years that drafting is surely not an "exact science", right? There are more than a few variables that make judging one football player against the next a very difficult process that makes most arrive at the conclusion that "they will have to wait and see" whether the Cowboys made the right decision. And the 2013 version of that cliche will most likely center on the selection of JJ Wilcox, the man with several interesting tools in his bag, but the question of whether he is ready for his next set of challenges at the unforgiving position in the NFL that veteran QBs target to exploit. He plays safety in a passing league, and the Cowboys will be asking him to do as a starter, sooner rather than later. He was the #80 selection in the draft and the #7 safety taken. He was taken before names that were closely linked with the Cowboys - like Phillip Thomas from Fresno State, a guy who led the NCAA in interceptions in 2012 (#119 to Washington) and Shamarko Thomas of Syracuse (#111 to Pittsburgh). Another safety who had promising ability for this type of scheme was thought to be Bacarri Rambo from Georgia (#191 to Washington) was taken off the boards of many teams for all sorts of off field issues that made him less than desirable. But the Cowboys made 2 choices that may seem unconventional when they selected Wilcox, but might really pay off for them if they get this decision correct. First, they went to a FCS School that plays against an awful lot of running offenses in the Southern Conference for Wilcox's Georgia Southern. And then, they took a safety who was not exactly accomplished there. In fact, he was switched to safety from offense in 2012 spring practice, because they had depth issues to deal with in the secondary. So, in some ways, he is just the opposite of Matt Johnson, the FCS safety they took in 2012 in the 4th Round who is actually listed as the starter despite essentially "red shirting" last season. Johnson had been regarded as one of the more accomplished safeties at his level in the land and was thought of as a safe projection of quality (when he gets on the field) but may be near his finish line of potential. Wilcox, having played just 1 season, has progressed quite a bit in that one year. But, when the scouts were discussing him during draft season, it seemed that most agreed that he is an eventual starter who will need to be brought along slowly and under the proper tutelage. I had a chance to view quite a bit of Wilcox's work from 2012 on his coaches film and feel that I have a relative handle on his game at the FCS level after looking at him for a while. He is going to be a force moving downhill. He played against a number of opponents who had no interest in passing the ball, and I feel confident in instances where he smells run and is correct, he will be a very impressive strong safety. His in the box strength is bull in a china shop, and he certainly can pack the force of a linebacker into his tackling. He is strong and confident and ready to break up a running play and fly to the ball. He actually might be too aggressive (this can be said regarding just about every safety in the draft) and is caught over-running plays at the college level. Safeties at a certain level of production actually get going too fast when they are sure they aren't going to get burnt by the opposition. Often, when they get to the NFL, they have to slow down for a while as they get acclimated to a level where the QB is waiting for one false step to throw over their head for a long pass. And that is where the swagger and self-assured style is truly tested. His hips and mid-section are wide and stout, allowing him to have plenty of force for his position, but making many wonder about the dreaded "tight hips". I would say at this age that is not a concern as he moves very well, and maybe the tape that makes you salivate the most is his sideline to sideline pursuit of a wide running play. In that, he seems to be a heat-seeking missile Also, he returned kicks in college, so he has the skill set to be elusive and I would not get him confused with the safety Roy Williams for a lack of flexibility. Now, all of this is nice, but the question that really matters in the NFL where you see Eli Manning, Peyton Manning, Drew Brees, and Aaron Rodgers all on your schedule this season, is "can he cover"? And for that answer, I offer a definite "maybe". You see, with 1 season under his belt and with a number of games against Western Carolina, Wofford, and the Citadel (who all attempted fewer than 8 passes for the entire games), it is not exactly easy to feel like you have a handle on his pass defense. 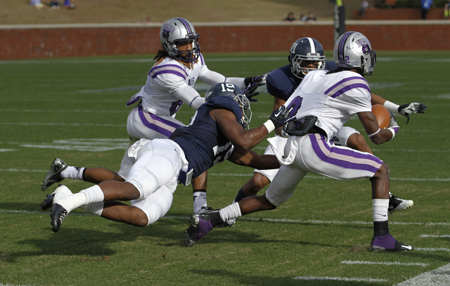 Now, he did get plenty of work against passing offenses that included the Georgia Bulldogs, Old Dominion (see below) and Appalachian State, but we are talking about a half dozen games against passing defenses in his entire career to rate his ability to understand all of the numerous concepts thrown at NFL safeties. He was able to run with receivers in man coverage from the slot with ease, but to compare that to what waits for him at the next level is clear apples and oranges. His safety instincts were tested on rare occasions of play-action over the top, but generally seemed to sniff out the ball and close hard. He made a big interception to seal a game late in the season in the FCS playoffs and does find the ball and jump routes across the middle. It is just such a small sample of work. But, he played in college with a step towards the line almost on every occasion, whereas the NFL safety is getting into his drop at the snap. And that is the major difference from a run-first conference at 1-AA, versus the pass-first offenses in the NFC. It is the same position, but barely. Summary: I think safety is one of the most interesting races to watch in the next several months. It is certainly not something that gets the newspapers going crazy, because it is a bunch of names that the average fan may not have a lot of information on, but make no mistake - in the Tampa 2 defense, there is plenty of responsibility on the safeties. Now, JJ Wilcox, Matt Johnson, Barry Church, and even Will Allen (with an outside chance of Sterling Moore being converted) will compete with a chance to emerge as the 2 that are asked to play as starters. I assume that is Church and Johnson at first, but Johnson will have an extremely short leash until he wins the job with his play. But, Wilcox might be enough to push him as early as July and August. Wilcox could really use time to simply learn the position because Georgia Southern was not asking him to do much other than react. That is fine at that level, but the NFL is based on showing you something to get that same reaction and then to seize the door you just opened with your reaction. I know that there is plenty of preconceived notions about project safeties around here (Hello 2010 4th Round pick, Akwasi Owusu-Ansah), but we should assume that this would be the specialty of the defensive masterminds that have been hired here. They have specific tastes in the safeties they seek, and clearly, with a number of "big school" safeties on the board, they liked Wilcox more. And now, their judgement will be tested in the next 24 months as they attempt to get him ready to contribute. At first, expect him to be a big contributor to special teams (they will likely need him on all 4 specialty teams) and to be brought along slowly to learn the game at a level where he can play with confidence on Sundays. That might take more work than can be reasonably thrown at him in just one summer. They are playing the long-game here, taking a guy that will not emerge right away, but let's see how well they can bring along a guy who looks the part from a physical-standpoint already. If they can turn Church, Johnson, and ultimately, JJ Wilcox into reasonable NFL starters, then that will go a long way towards making this defense work. The following is the 3rd in a series of draft profiles for the Dallas Cowboys' selected players from April's draft. These profiles are put together after watching significant amounts of game tape from each player, and is an attempt to examine their resumes and play to get an idea of how they might fit in best with Dallas come training camp in Oxnard this summer. Football is a game of simple math. Can you rush more players than they can block? Can you put more receivers into a zone than they can defend? Can you get more guys to the ball than they can deal with? This is the fun with numbers that are all over the game. You have 11 and they have 11, but how do you deploy them to cause the opposition math issues? Well, that leads us to the discussion of the Cowboys spending their 2nd pick on a 2nd tight end and their 3rd pick on a 3rd Wide Receiver. I have heard some make the case that in the 2013 draft, in which the Cowboys desperately needed upgrades at several starting positions (Guard, Tackle, Center, Free Safety, Strong Safety, Outside Linebacker, and Defensive Tackle), they drafted for depth at skill positions who were in effect, reserves. Now, nobody will complain about Gavin Escobar or Terrance Williams if there are injuries that push them onto the field (and there are always injuries). Nor will anybody complain about training the understudies for Jason Witten and Miles Austin when the Cowboys replace those two veteran mainstays down the road when the salaries and the ability no longer is in the proper order. But, for the time being - assuming that this draft wasn't just about contract flexibility in 2014 and 2015 and injury insurance for next fall - we must discuss the simple math elements of what the Cowboys decided to do a few weeks ago. Essentially, they have taken the last skill position player that they can put on the field in 2 consecutive picks. With 11 offensive players, with 5 being the offensive line and 1 being Tony Romo, you have 5 remaining spots to figure out in each down and distance (I realize this is extremely fundamental stuff, but stay with me). Once you put DeMarco Murray, Jason Witten, and Dez Bryant in their places, now you have 2 spots remaining. Just about every package you design will have a spot for Miles Austin, a guy who has been very productive whenever he has been on the field both on deep passes and shallow throws. He is a proper #2 WR in the NFL, provided those hamstrings behave. So now, you have 1 spot left. With Jerry Jones telling everyone who will listen that they are determined to make their "base" offense "12 Personnel", then this is settled. Gavin Escobar will be on the field in all situations that are considered "base". Then, on 3rd and long or in the 2-minute drill, we assume the Cowboys will go back to what we have become accustomed to for the last few years, "11 personnel". 11 is 3 WRs, 1 RB, 1 TE, and that is where Terrance Williams will start. Williams is a prospect who has some very interesting versatility and ability and after looking at his game film on several of his games from the last few years, I am quite excited about where his career could go. There is no question that he should be able to provide with the Cowboys with as deep a WR position as they have had in a very long time. Even in 2011, when we all remember Laurent Robinson accomplishing so much, we were dealing with a young, developing Dez Bryant and an often injured Austin who missed a lot of time in the middle of the season. In watching him do his thing for Baylor last season, there is all of the confidence of a big-time threat who fed off of the fear of his opposition. Being a "big play" receiver, you can see that the Big 12 style of defending put him in a spot where he received a very big cushion and made the most of it. I assume the first thing he will face at the next level will be "press coverage" to see how he likes fighting for his release, but at the college level, he was into his routes quickly and with great precision. He is an exceptional route runner who gets out of his breaks and is where he is supposed to be. He has strong body control and also uses his frame to gain position on inside routes with ease at the college level. I have heard plenty about the feeling that he is an outside receiver first and foremost, and I can see why that is said. He is fantastic against the sideline and catches those balls over his shoulder like a natural. He also runs the post routes with the type of speed that will crush safeties that bite on a run-fake. But, I don't want to undervalue his "slot" potential as well. He may not be your first choice, but he lined up in many spots and the inside slot play is not against his film, either. He can do many things out there and although he may not have quite the upside as a guy like Dez, I really think that Terrance will do very well in the NFL. The thing that sticks out as you watch him play is his confidence level and his swagger. 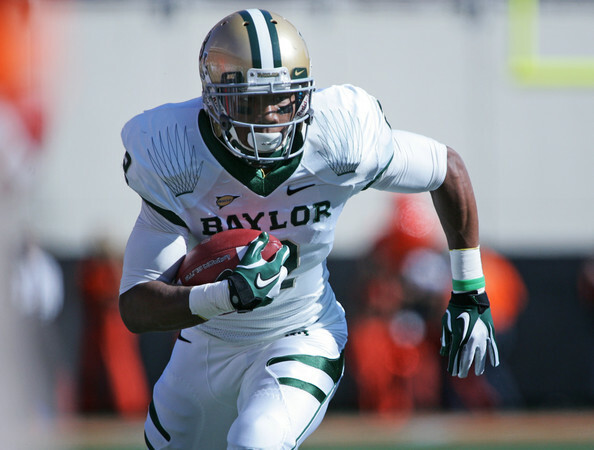 He has been successful with 2 different QBs at Baylor, with RG3 in 2011, he had 11 touchdowns and 957 yards. Then, the next year after Griffin and Kendall Wright were both 1st Round picks, with Nick Florence slinging the ball, he had 1832 yards and 12 touchdowns at a stunning 19 yards per reception. He knew he could dominate games and was ready to do just that. You love to see that from a player when observing his game, and that trait is a must to be ready to battle NFL corners for your space. Now, let's visit about the concerns that allowed him to drop to #74. He is more of a "body catcher" than a "hands catcher" which is an issue at the NFL level because when you come out of your break, corners will close on your back and be able to jar loose balls with arms around if you don't go meet the ball with extended arms toward the QB. He had that happen on Saturdays, and that will need to be cleaned up. He also would run crossing patterns with great resolve on most occasions, but I did seem him bail out when his peripheral vision saw a safety coming or he heard the footsteps. I don't think this is an issue that saw him drop, but rather just something to notate. He is a willing downfield blocker and a strong kid. When people ask why he dropped into the mid 3rd round when some thought he could go early in round 2, I feel it is mostly because WR was a very deep position in the draft and there was no reason to rush to take one when other positions were in shorter supply. Summary: Again, there are a few conversations that happen simultaneously when discussing the picks of Escobar and Williams. Is Williams a terrific prospect that I am excited about? Absolutely. Does his selection make sense if they have no room for him on the field? That is where it gets cloudier, because once they declare they are a 2-tight end offense, you pretty much indicate that a 3rd Wide Receiver is not a regular. Sure, you can design special packages for him, but if his upside in 2013 is 15 snaps and covering punts and kickoffs, you wonder if that is a smart use of limited resources. On the other hand, with Bryant and Austin having issues playing 16 games at optimum health, the idea of having a very capable backup in reserve is a far cry from going to camp with no idea who will be your #3 like last year. Even if you like what Dwayne Harris and Cole Beasley brought to the table, we must remember that they played very little. They might be perfect for this role - given that 2 TEs takes away the need for a 3rd WR, but with John Phillips and Kevin Ogletree in those spots instead of Gavin Escobar and Terrance Williams, you can see how the team looks so much better on paper. He will be the other side of the trade from Sharrif Floyd when you couple Travis Frederick and Williams together instead of the defensive tackle. Pop on his tape for a few seconds and you can understand why they were fired up to get their hands on him, a full round later than they expected to have a shot at him. His development will be monitored closely in 2013, and if it goes well, he might be promoted to the man opposite Dez for years to come in 2014. In the meantime, we certainly cannot say they didn't try to give Romo plenty of targets in 2013. The following is the 2nd in a series of draft profiles for the Dallas Cowboys' selected players from April's draft. These profiles are put together after watching significant amounts of game tape from each player, and is an attempt to examine their resumes and play to get an idea of how they might fit in best with Dallas come training camp in Oxnard this summer. Sometimes, trying to fully understand the Cowboys' long-term plans can be quite difficult. This, of course, is partially due to the fact that their long-term plans have altered repeatedly over the years and if you are inconsistent in your goals, then it there will also be inconsistency in detecting those goals with observations from the outside. For example, one long-term plan would be to replace your older players before they become incapable of performing. This requires two things, finding his replacement and also, not paying so much guaranteed money to old players that you cannot replace them. That is why many of us cringe with the annual off-season contract restructures of players over 30 years old on this roster. When you restructure, you are guaranteeing money in future seasons. And when you do that, you are adding to the dead money if that player ever runs out of ability. So, on one hand, we could argue that the Cowboys are beginning to plan for the post-Jason Witten era when they drafted a tight end so high in the 2013 draft when they took Gavin Escobar from San Diego State at pick #47. But, on the other hand, with $9m guaranteed to Witten after 2013 - with cap hits annually of over $8m - they are still quite dependent on Witten giving them several more years of productivity despite already having 806 career receptions and very high mileage on his odometer. Enter "12 Personnel". When I am done with these draft profiles, I want to dive deeper into the discussion about the Cowboys offensive history with "12 Personnel" and their determination to pair another weapon at the tight end position with Jason Witten going all the way back to 2006 when Anthony Fasano was taken in the 2nd round and then 2008 when Martellus Bennett was taken in the 2nd round, too. To allocate 3 2nd round picks in 8 drafts to the tight end position that already has an elite starter seems extremely foolish on the surface. That is, unless you can make it an unstoppable force for your offense that makes the league's defenses beg for mercy. And that brings us to this tall pass catcher from San Diego State. In watching film on many of his games this fall, it is rather clear that San Diego State's offense was built from the inside routes to the outside. In fact, you could easily argue that the Aztecs offense was the college equivalent of some past Cowboys' offenses where Romo to Witten was the constant refrain as the receivers were used as decoys and decorations rather than real threats. Think of this: SD State had exactly one man catch more than 24 passes in 2012, and that is the leggy and lanky Escobar with 42. They went to him over and over again, with a number of hook/curl routes, some out-breaking short routes, and then fades to the corner and seam routes down the middle to use his superior height and jumping ability against defensive backs. In a few instances for SD State, you could see the cat-and-mouse game between the offense and the opponent in the red zone. Offensively, they were determined to fit (force) the ball into a tight spot where Escobar could make a catch and the opponent would then double team him with bracket-coverage and not give him any space. No matter how many guys were covering him, it seemed that they were still going to him, and so we saw many chances for Escobar to demonstrate his well-advertised hands and aerial game. His hands are good, bordering on very good. I do cringe a bit when hearing he has "great hands" because that would seem a bit disingenuous if you have watched his film. His technique is fine as he is not "body catching", but there were a few times where you wanted him to reel in a ball before you throw the label of "great" out there. The fact is that he was thrown the ball a ton, and although I cannot specifically say how many targets he had for his 42 catches, it was many. Some were dropped, but most were a case where the QB was flat-out determined that he is throwing to Escobar regardless of coverage. There was a mid-season QB change from senior-tranfer Ryan Katz, to young DFW-product Adam Dingwell, and it appeared that Dingwell had seen enough Romo to Witten to know that the easiest target to find is the one who is running the route 9 yards in front of your face. Everyone is quick to point out a troubling 4.84 speed at the combine in the 40, so I was carefully looking at his routes and his ability to find space. Rest assured, this guy plays faster than he is timed. In fact, I might argue that he plays plenty faster than he is timed as he can find space and lose defensive backs in routes. He has a basketball background and understands that deception can knock your defender off his balance and that shake is what finds daylight in a proper pass-route. He has a very fine ability to attract coverage, so you do wonder how secondaries will deal with this many guys that need an extra defender to corral - especially in that red-zone. What you really like about him is his formation versatility. He can be lined up just about anywhere, including flexed to the slot, alone wide by himself, or deployed as a primary tight end. 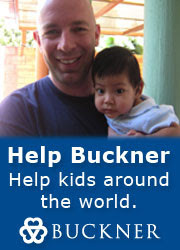 He is a handful and often covered by corners or safeties. For instance, CB Desmond Trufant of Washington (now of the Falcons) was covering him quite a bit in their season opener against the Huskies. Now, to that other aspect of his game that has caused many to fear the future, his blocking. There is no doubt that he will not make people forget Martellus Bennett's blocking, which was fantastic for much of his time here. He tries, but he certainly is not packing wallop on the run blocks when he is lined up next to the tackle. He is what they would call a "get in your way" blocker. And that is useful if properly deployed. They used him a lot like Andy Reid used Brent Celek over the years, which was with motion across the formation or at the snap the player heads behind the line to the opposite flank to get the contain man on the defense on what is called "cut-off" block. The difference is obviously that with a running start, he is able to generate much more force and can clean out a defender with much greater ease. And that is why I think we will see more situations where he is a blocker best suited for coming from the backside than staying strong and anchored from the frontside of a run. Also, in the pursuit of run/pass balance, they also used another Reid favorite, which is the concept of leaving Escobar in to pass block, only to have him let his guy run free at the QB, setting up a dump pass to the tight end on what amounts to a TE screen pass and nothing but green grass ahead. We have seen Celek do that to DeMarcus Ware on several occasions, and the Aztecs enjoyed running that plenty. As a pass blocker, he will need work, but I think with his size, he should be able to help. Again, the issues with the Cowboys in "12 personnel" in the past has been that they don't want to leave Witten in to pass block - and he has made it rather clear that he doesn't want to stay in. So, the other tight end is keyed on to be that pass blocker. With Bennett, he was great at that, but not great at receiving. With Escobar, he will be a very fine receiver, but will he be able to hold of Ryan Kerrigan? Better make sure he has some help. Summary: Of all of their picks, this is the one that I have reservations about. And frankly, it has more to do with my optimism on James Hanna than it does about Escobar. If we are casting for a 2nd TE with the idea of running more "12" personnel, then I thought Hanna can provide that with blazing speed and potential as a receiver. Now, I assume he will have a role, but it won't be a big one. But, if the idea was to be ready for that time nobody likes to think about - when Jason Witten is no longer an elite player - then, we should applaud the forward thinking. It is reasonable to say that Hanna could be a great 2nd TE, but never a #1. Escobar can be the #2 and grow into a very good #1 by 2015 when we assume Witten will not be what he is today. From that standpoint, I am fine with this, but it would have made much more sense if they would stop restructuring Witten's deal which insures he stays for financial reasons - even if his football reasons are not as convincing down the road. The counter argument, of course, is that this team has much more pressing needs and Witten/Hanna could handle whatever you needed and then you find a blocking 3rd TE in the late part of the draft and use #47 on any number of quality defensive players left on the board - Bennie Logan, DJ Swearinger, or Jordan Hill - or more OL help - Larry Warford. And that would have been widely supported. Instead, they are trying to fix red zone efficiency and the ability to be run/pass balanced as they come to the line of scrimmage. What that simply means is that they want the defense to be unsure of the plan, something that has gone away in 2011 and 2012. The Cowboys only real mode for moving the ball most weeks was shotgun with "11" personnel, which was one of the least balanced offenses in the arsenal (in 2012, the Cowboys run/pass ration in S11 was 9/91). Now, they want uncertainty on the defense in the minds of opposing linebackers and safeties. With Escobar and Witten, they should be able to get there. They also should be able to utilize an offense with Dez Bryant and Miles Austin that can finally rise above #20 in red zone efficiency, a spot they have been stuck at in 2011 and 2012. This all looks good on paper, but now, like when they spent pick #53 on Fasano from Notre Dame or #61 on Bennett from Texas AM, they must make pick #47 work. Which may tell us how long until the Cowboys are shopping for a new head coach. The following is the 1st in a series of draft profiles for the Dallas Cowboys' selected players from April's draft. These profiles are put together after watching significant amounts of game tape from each player, and is an attempt to examine their resumes and play to get an idea of how they might fit in best with Dallas come training camp in Oxnard this summer. If only we could look at football players without attaching baggage to our evaluation. Perhaps the best example of this is Greg Ellis, who if only judged on his own merits would have been thought of as one of the very best Cowboys of the last 15 years. However, he spent most of his career carrying around the burden of being "the guy that we took instead of Randy Moss" around here. That stayed with him despite being an exceptional player his entire career. That leads us to Frederick who in some ways, is exactly the type of player you would hope the Cowboys could have left the draft with. A "Day 1 starter" who will instantly be able to handle whatever you throw at him, despite playing one of the most complex positions on the field. And yet, he will always be attached to another ambitious day in the Cowboys' war-room, as Jerry Jones could not sit still again and pulled the trigger on a trade down and seemed dead set on getting an offensive lineman to protect Tony Romo. Frederick was, in Jerry's words, "the last of the Mohicans" as the 8 OLmen on that top tier. Once Frederick was gone, they felt things were going to drop to a next level that would not be ready to start on Day 1. This caused them to pass on Sharrif Floyd, a defensive tackle from Florida that the Cowboys had rated much higher on their draft board. And for that piece of information that has been confirmed numerous times, Frederick will always be hitched to Floyd's career. But, when evaluating a player, you have to get all of that out of your head. You have to simply say that, now that he is here, there is no reason to spend time in his evaluation on how he got here. Let's simply look at his film, figure out what he does well and not so well, and then see if he has a spot on this squad. The other discussions of how the 2013 draft could have gone differently are valid for other discussions, but not on a Travis Frederick evaluation sheet. I was able to look at a considerable amount of his 2012 season's coaches film and see what he does well against a Big 10 schedule that might not have had great teams, but the conference consistently places strong defensive line prospects into the NFL, so to see Frederick against Purdue's Kawann Short (Panthers), Penn State's Jordan Hill (Seahawks), Ohio State's Jonathan Hankins (Giants), and plenty of others, we know what the center can do against NFL talent. And for the most part, there is plenty to like. 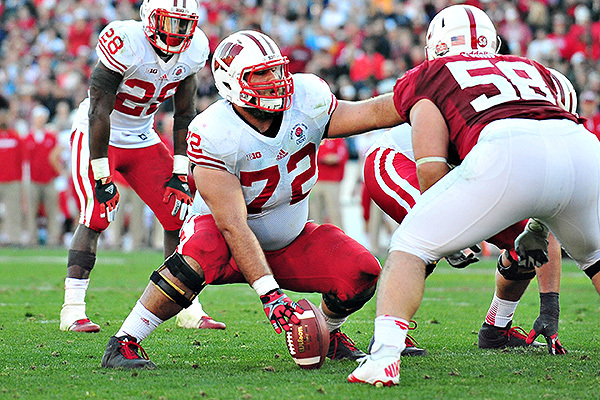 Wisconsin asks plenty of their offensive line and they are nationally renowned for how they teach the position. It is based on strength, effort, and intelligence, and Frederick is a study in all 3. He absolutely can handle himself in situations that require his best. I admired his play in situations where teams were attempting to "storm the castle" and send everyone to go get the QB. His best attribute in pass protection seems to be his anchor. You are not going to go through him, and although this falls under the category of things that should be "givens", we have now seen in 2011 and 2012 that the Cowboys have had too many interior linemen who have been trucked. That won't happen with Frederick. He is strong - despite what has been reported. I also recognize that his combine performance in general and his bench press in specific is disconcerting, but his game tape does not reveal someone who lacks strength. We have talked about his super-human 730lb squats and his respect in that Wisconsin weight room which speaks very highly of his dedication level given the guys who have come through that program, like Joe Thomas and JJ Watt. His combine bench press of 21 reps is not very good, but when you dig into what was going on there, you simply have to look at his weight. He played at nearly 340 and then was obviously told to shed plenty of weight as he weighed in at 312. Losing nearly 30 pounds in 6 weeks can zap one of strength if it is not done properly, and that would seem to explain that, as again, his game film does not appear to show a lack of physical brute force. He was seldom given help from either of Wisconsin's guards in the middle and in the NFL, that will change as combo blocks are a huge part of trying to deal with the DTs at this level. He is proficient at helping get a guy at the snap and then slipping off to the next level. But this is where we see where he struggles. Frederick's negative attributes are common amongst most NFL interior linemen who may not have great athleticism in their feet, and that is an issue in dealing with quickness. One thing that did show up in periodic situations - especially against quick DTs like Hill and Short - was something that will need to get cleaned up. And that is as they shade over his shoulder to the A gap to one side, he knows he is not getting help from the guard so at the snap he is leaning to that gap. This works if that is really where the DT is headed, but often times, as Frederick is jumping to his left to stop the gap that his opponent is cheating towards, the opponent switches back against Frederick's lean and takes the opposite A-gap. And this quickness is what gets Frederick into trouble as he either loses that man or tackles him in a clear hold. Now, understand that this doesn't happen often, but it does happen, and that propensity to fall for that will make guys attack that move over and over until he shuts it down. This also rears its head when he goes to the 2nd level, and tries to get to a middle linebacker. In the Michigan State tape, he had a heck of a time trying to keep Max Bullough from "quicking" around Frederick as the big center was trying to keep him inside his arms. This also led to issues where you either let him go and blow up your play or you hold him. Obviously, the Cowboys will need to teach technique that teaches a slower approach so he isn't off balance as he is running to his landmark to get his block. Easier said than done when a player is slow to begin with. Basically, if there is a weakness, it is not his ability to stand up to guys. It is his ability to not hold when he gives up the edge. And the only way to truly not let that happen is to not give up the edge to begin with. On pulling plays, I actually like him in space (by center standards) and this is something the Badgers did plenty with their running game. He can handle himself well and is not the roadblock that you would expect with that 40 time. In general, he needs to stay on his feet a bit more and minimize holding situations where he loses leverage, but there is a lot to like here. I can understand why, especially after a few years of weak center play, they had him ranked as the best center in the draft. Summary: Again, if you can talk yourself into considering the trade down for 2 2nd rounders (Frederick and Terrance Williams) and position Frederick in your head as a 2nd round pick, this might be more appealing to your sensibilities. That being said, there is plenty to like here. He can play guard as well, but I think that this will be his best spot and using his intelligence to get line calls right is another reason that he is a proper center in my mind. He is a Day-1 starter that will be pushed and tested and will battle and claw. But, in the idea that his principle role is to stop this OL from being bullied from right in front of Romo's face, I have no issues with the player. I think he will require guard help periodically, but every center needs that. In a phone booth, he is going to be fine, it is in space where you worry about his match-ing up with someone with Bruce Carter's quickness trying to get around him. There will be holds, but hopefully, he will get his weight back up to where he is comfortable (325?) and provide a wide foundation to build around. One plus to his 1st round spot is that he is on a 5-year rookie contract which may prove beneficial down the road, as well. Now, you can push a guy like Phil Costa or Ryan Cook down the depth chart to a reserve role which suits them much better, too. I think this is the type of pick that will not sell season tickets, but it might go a long way in making this offense more balanced and versatile, rather than abandoning all game plans and simply switching to shotgun in the 2nd Quarter because your OL has been horrid (see 2012). If you squint, you can see a bigger Jeff Saturday from back in the late 1990s. If Frederick gets anywhere close to that, his link to Sharrif Floyd will be forgotten in 5 years. Yesterday, May 8, was the 1-year anniversary of one of the most memorable nights in DFW sports history. Twas the night that Josh Hamilton hit 4 Home Runs in 5 at bats at Baltimore. They were all 2-run homers and it marked only the 16th time in the history of baseball that 4 home runs were hit in the same game and it rocked the sports world. Not only that, but the 8 RBIs were his new career high and the 18 total bases on the night against the Orioles was an all-time American League Record. It continued a run of fantastic play in 2012 that seemed like it might go on for the entire summer following the 2011 World Series where Josh appeared to have won with a Home Run late in Game 6 until bad things happened. People that occasionally knee jerk (I look in the mirror), have these discussions in front of live microphones. I am pretty sure I was ready to rush to his representatives the next day and figure out this negotiation that had troubled the public for quite a while before that evening. Caution was being thrown to the wind. He was so good that we should ignore all of the warning signs that things could end without much notice. That night raised his average to .406, his OBP to .458, his slugging to a Bonds/Ruth-like .840, and his OPS to 1.298. He sat at 14 Home Runs, with 36 RBIs, and a strikeout rate at 19.8%. He clearly had issues to consider that made Albert Pujols, Prince Fielder, or Jayson Werth's contracts seem unreasonable comparisons, but both sides - assuming they wanted to extend their relationship, would have to find numbers to work with on a new post-arbitration contract to get him that cash that he has worked hard to attain. If you can remember back that far, he certainly was not against saying things that gave you pause. The latest, after his "issues" that popped up before spring training in 2012, were that there would be no "home town discount" to stay with the Rangers. They were not owed anything by his calculations which may have been his sincere feelings or just negotiation tactics. Either way, they were not well received when most observers had seen the Rangers bend over backwards to accommodate him. They did, and to this point in time, he had not let them down in 4 years and change with the Rangers. I am always fascinated by the negotiation in sports. It is something that we have a hard time relating because in the world most of us live in, it is all based on past performance. We do things well, and it is generally assumed that we continue to do things well in the business world because our speed or hand-eye coordination shouldn't affect our ability to sell or buy or broadcast. Sure, the employer looks at age with some consideration, but compared to a professional athlete, that seems like a distinct difference, and then compound it with Josh's very complex backstory. He needed a contract. One that would carry him from 2013 (when he turns 32 on May 21) to the end of his productive years. If he could get 8-10 years like everyone else, he would try, but we would find out that the Angels bid 5 years and we really have very little proof of whether there even was a 2nd bidder to know if they merely outbid themselves. And somehow around there is where the "things" started happening. Tough to go back and list them all, but there were contact lenses, energy drinks, lethargy, tobacco, and a list of things that made guys like me put him in the Dez Bryant "it is always something with this guy" bin. Again, a stat line of 22 home runs and 71 RBIs is a real nice season for most players. If we are going to say this is only 4 months of a year and that it is supposed to be shockingly pathetic, you can understand some people wondering if you are being reasonable. So, by the end of the year, Jon Daniels and Nolan Ryan had to make a decision. I am reasonably sure that there were never real sincere efforts by JD to sign up for more years with Hamilton here. Nolan has given indications since then that he was more interested, but even that is difficult to pin down. The Angels put a giant 5 year/$125m deal on Josh and of course, since then we have heard Josh alienate the city with his thoughts on DFW being a "baseball town" or not. That makes for good copy, but if he puts up another year of 43 HRs and 128 RBIs, there is a pretty good chance the Angels win big and his comments are but a footnote. But, because his play from June 1 to the end of the season in 2012 appears to have relocated in Anaheim, the mystery of what the next 5 years will be like in California has become a daily discussion in Texas. Make no mistake - he, just 1-year ago today, was a fan favorite. Maybe, he was THE fan favorite. At least on a national level, he was the face of the Texas Rangers. The numbers for the last year from May 9 to May 9 will not be as stunning as June 1 to June 1, we assume, but given his very poor start in Anaheim, we can now look at the last 365 days from Josh. This tells you that he has dropped substantially in most numbers, and that power advantage he has will largely disappear when we go June 1 to June 1 in a few weeks. "When I feel a sense of urgency, I do worse. I need to keep working the process, have good early work and cage sessions, and when it clicks it will click." "Every day I get to play a game for a living, I have fun," Hamilton said. "It's no fun when you stress about every pitch, every at-bat. If you have fun, you'll play to the best of your ability. It's going to come eventually. It's not there yet. Stress just prolongs things." He is way better than he is showing, but you do wonder if the Rangers got out at just the right time on this highly volatile stock. Early returns seem to indicate as much.